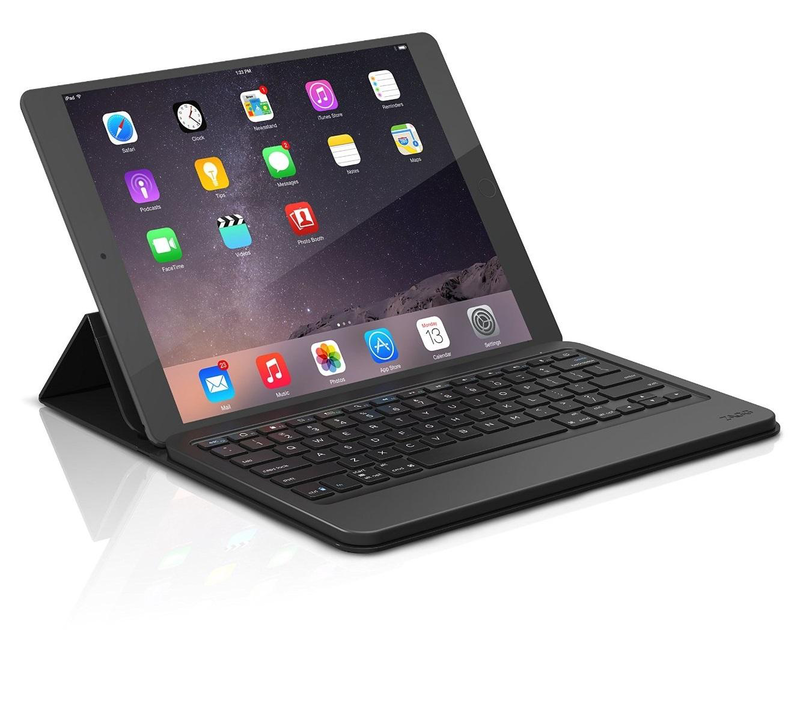 The ZAGG folio is one of the thinnest and most diverse Bluetooth keyboard available. It features a unique hinge design that allows you to position your screen at virtually any viewing angle and also provides full body protection to help prevent your iPad from getting dinged or scratched. A powerful battery keeps it alive for up to 3 months of regular use between charges.